Originally from the Central Valley, Solange joined Pacific Crest in 2005 after receiving her Bachelor's degree in Animal Science from UC Davis. 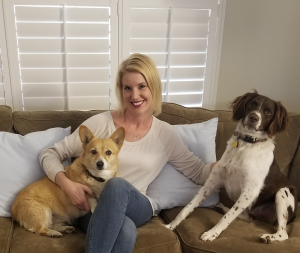 She worked as an Equine Technician until 2010 and then left to pursue a teaching credential at Fresno Pacific University. She taught science to junior high students for a year and then took a break from the work force to focus her attention on her family and be a full-time mom. She is thrilled to be back on the Pacific Crest team part-time, now that both her children are in school and she has some "spare time". She lives in Tulare with her husband, Cameron, and her two children, Corinne and Colton. They share their home with their Welsh Corgi, Duchess, their Brittany Spaniel, Bodie, three cats, and multiple fish. 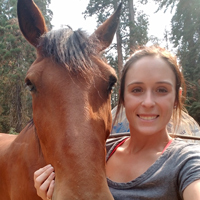 Her interests include trail riding on her horse Solera, spending time with family, backyard BBQs, wine-tasting, traveling, and attending country music concerts. Pat, who is originally from Boston, moved to California when she was 12 years old. Pat worked at Knudson Corporation for 21 yearsprior to joining the Pacific Crest Team in 2007. In her spare time she is busy spending time with her four wonderful grandkids.